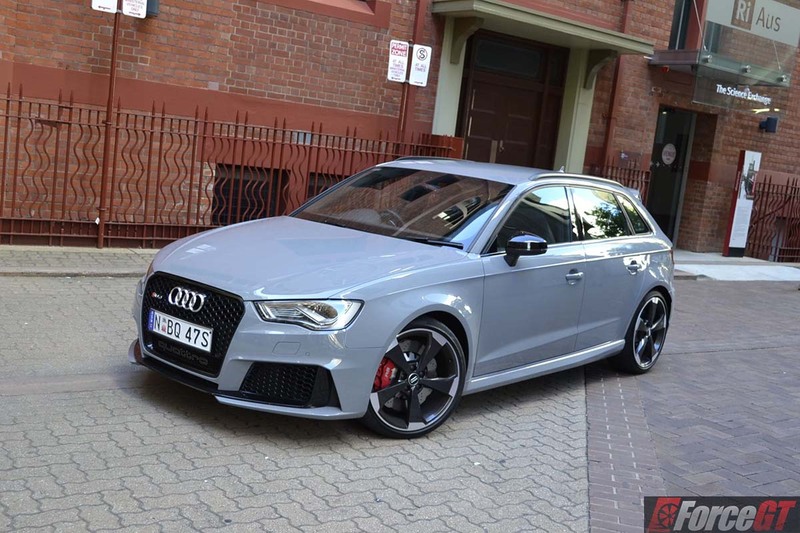 Meet the latest hot hatch king in Australia – the 2016 Audi RS3 Sportback. As I sit in front of my MacBook to write this article, I still couldn’t wipe that silly grin off my face. 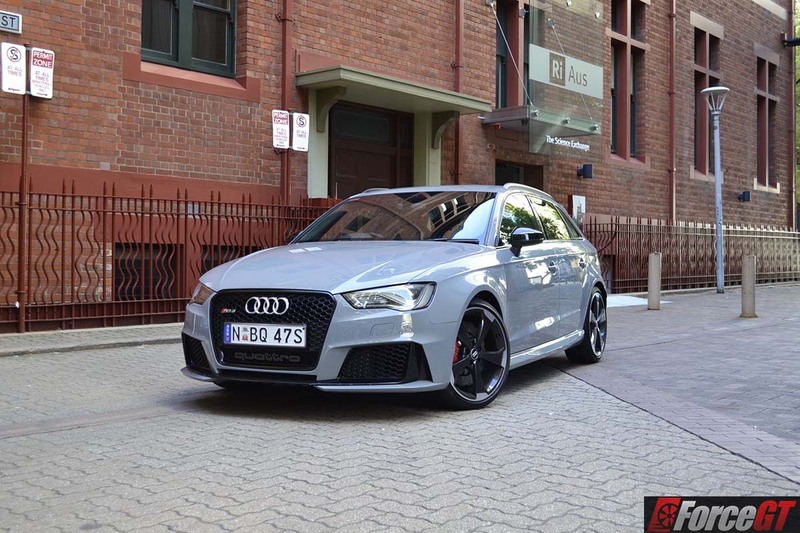 It is the best hot hatch I’ve driven in the last couple of years! I’m expecting eggs to be flying in my direction but hear me out. Sure, you could save yourself nearly $20,000 just by dropping the ‘R’ from the badge and pick the equally impressive 210kW/380Nm S3 Sportback, but you’ll simply be missing out on the hairy-chested, flame-spitting 270kW/465Nm 2.5-litre turbocharged 5-cylinder engine that is the soul of this car. 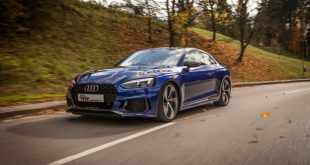 You’ll also be doing without its truly capable Quattro all-wheel drive system that can direct 100 percent of the drive to the rear axle, and the sonorous exhaust note from the RS3’s massive pair of oval shaped exhausts. 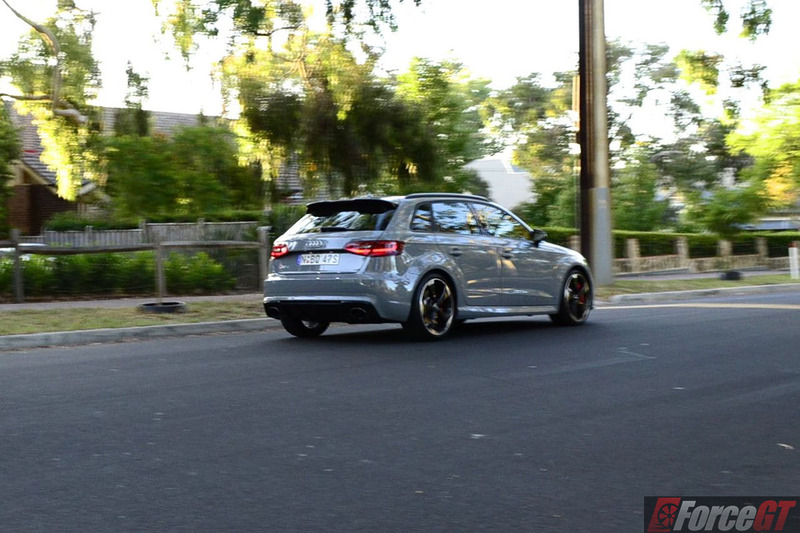 Well, the RS3 is not only more potent than the Porsche Cayman GTS but will also blow dust in the face of a Porsche 911 at the lights! Oh, and the sheer satisfaction of seeing that smirk on the 911 driver quickly morphing into utter unbelievable horror in the rear view mirror is pure gold! Every time. 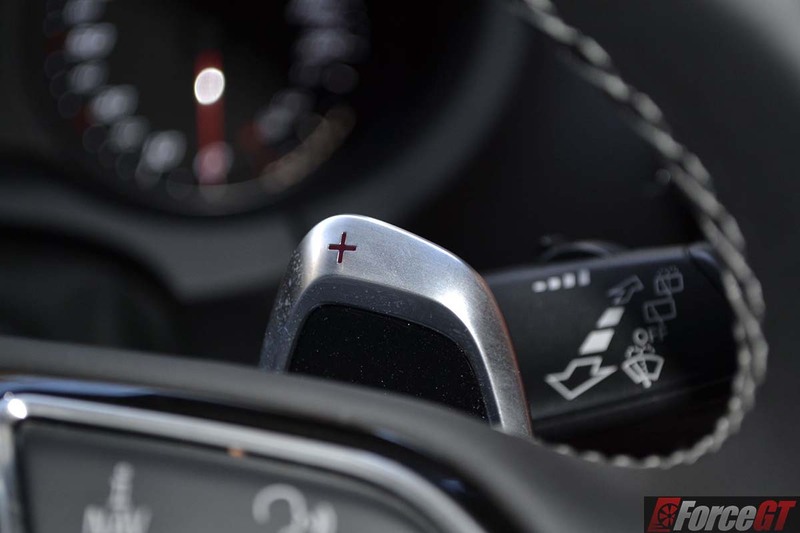 The sense of occasion starts the moment you hit the aluminium start button on Audi’s “entry-level” RS model. 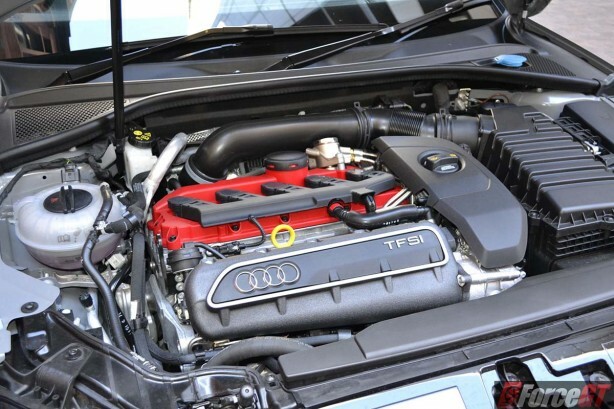 The 5-cylinder TFSI engine is an absolute masterpiece. 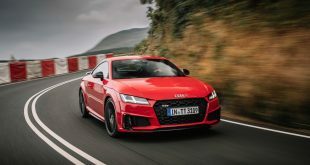 Pinched from the previous-generation TT RS but revised with better breathing, power and efficiency, it erupts into life with an angry snarl. The extra cylinder isn’t merely physical, either. It’s textural, too. 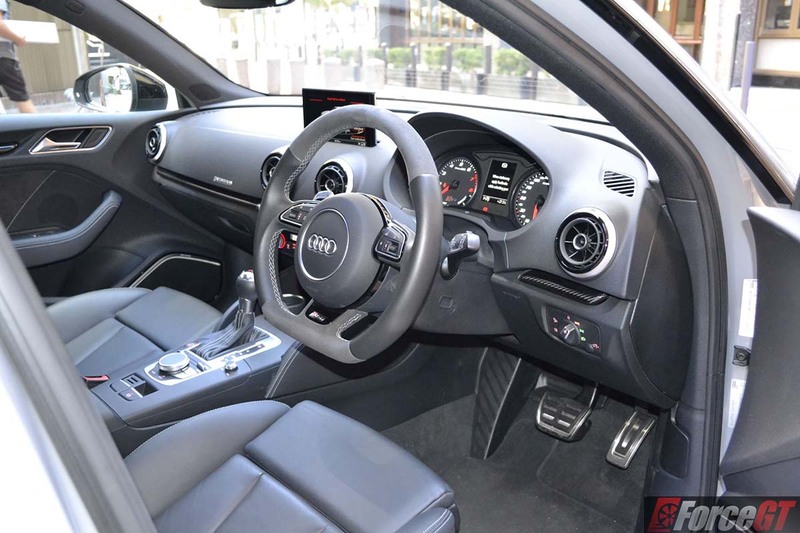 The RS3’s 1-2-4-5-3 firing sequence, aided by two exhaust flaps, filters a properly mechanical, hard-edged sound into the experience, making the S3 sound flatly uninspiring in comparison. Give it the boot and the combined concerto from the engine and tailpipes is enough to tickle your spine and nether regions with orgasmic fireworks. 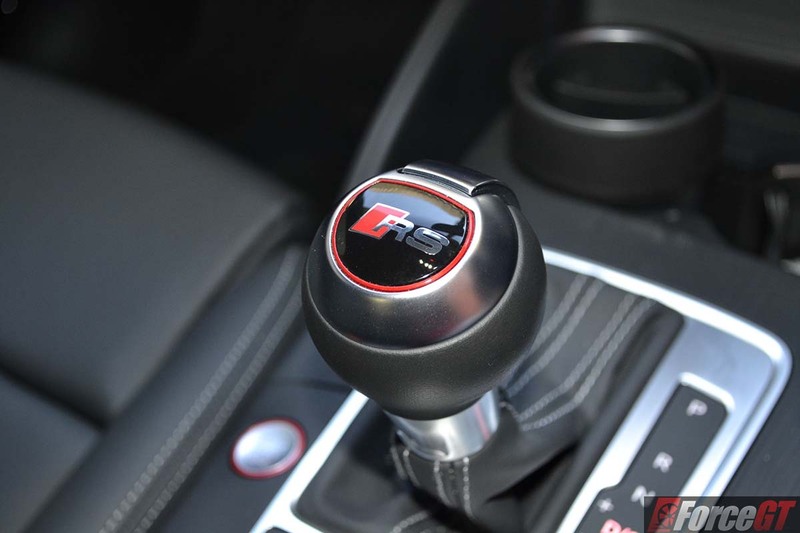 The seven-speed dual-clutch not only delivers crisp, super-fast upshifts, but is also smart enough to drop gears when approaching corners. And the theatrics that accompany the action is just glorious. You get this lovely, deep gurgle on upshifts and explosive crack and burble on downshifts. It also has the loudest throttle lift off overrun I’ve come across in a hot hatch, which can only be described as similar to a pair of bazookas going off. 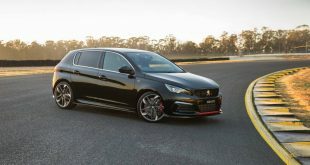 Both of our test cars are equipped with the $6,490 Performance Pack, which brings 19-inch wheels with wider 255/30R19 front tyres compared with 235/35R19 rears and adaptive dampers, amongst others. It’s one of the many options we highly recommend. 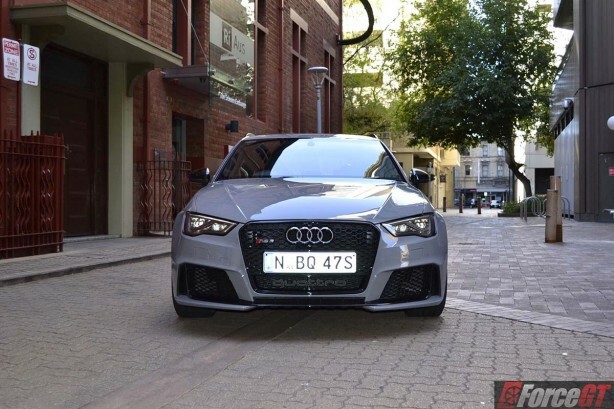 The unusual combination provides the RS3 with extraordinary front-end grip, while enabling the rear end to perform mild controlled four-wheel drifts. 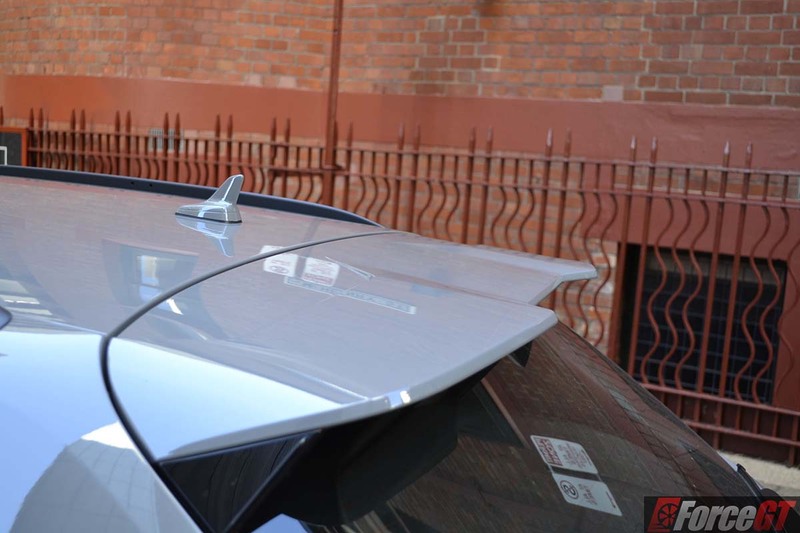 On challenging B-roads, the car feels balanced and engaging with nimble handling and direct turn-in. 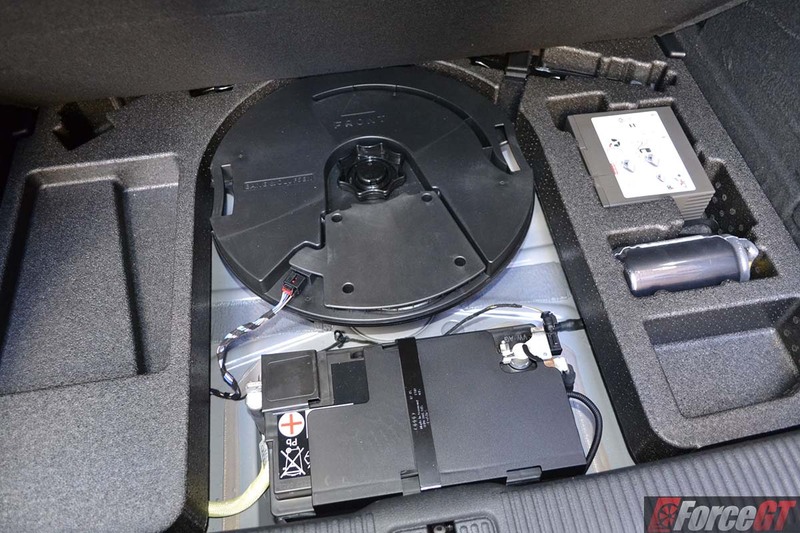 This is also thanks in part to the quick steering that loads up with feel the faster you drive. The immense grip is so confidence inspiring it encourages you to get back on the throttle earlier and earlier in each corner. Yet, the car simply clings on with a seemingly unlimited traction. The RS3 rewards the brave driver more than a smooth and precise one. 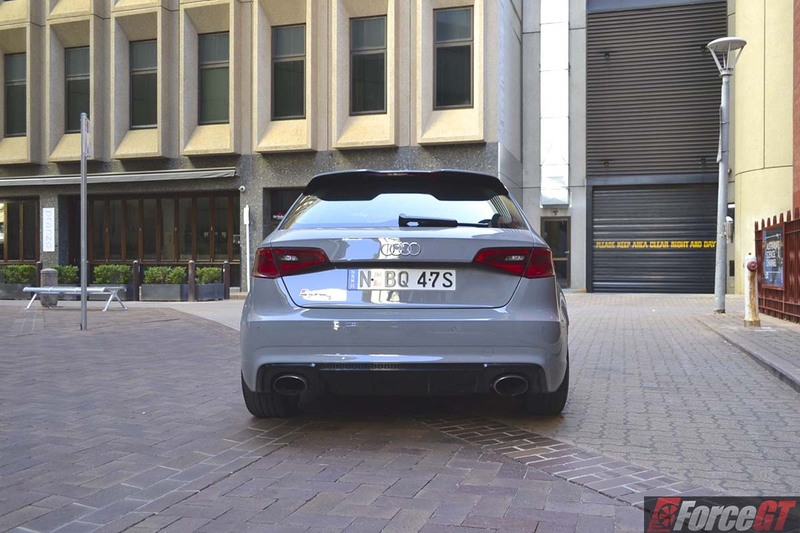 Away from the twisties, the RS3 with 19-inch wheels rides surprisingly well on our rubbish inner city roads in Comfort mode. It isn’t magic carpet smooth by any means, but it won’t threaten to rearrange your vertebrates, either. 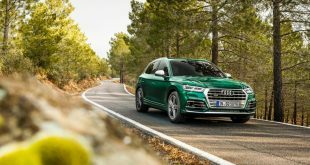 While fuel consumption is likely to be a secondary concern for the car’s target audience, our aggressive driving style saw the 5-pot penalize us with 12.8L/100km on test. On the contrary, driven sedately, it is possible to see 7.7L/100km on the trip computer. 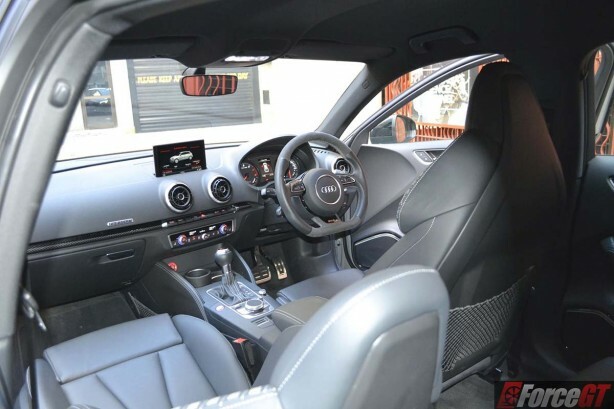 There’s nothing flamboyant about the RS3’s styling, save for the wider front fenders, chiseled side sills and high-gloss black, honeycomb-look Singleframe grille with the word “quattro” proudly stamped on the lower edge. 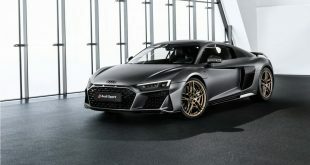 At the back, the restyled bumper is more pronounced and features high-gloss black diffuser insert with honeycomb grille and four bars. 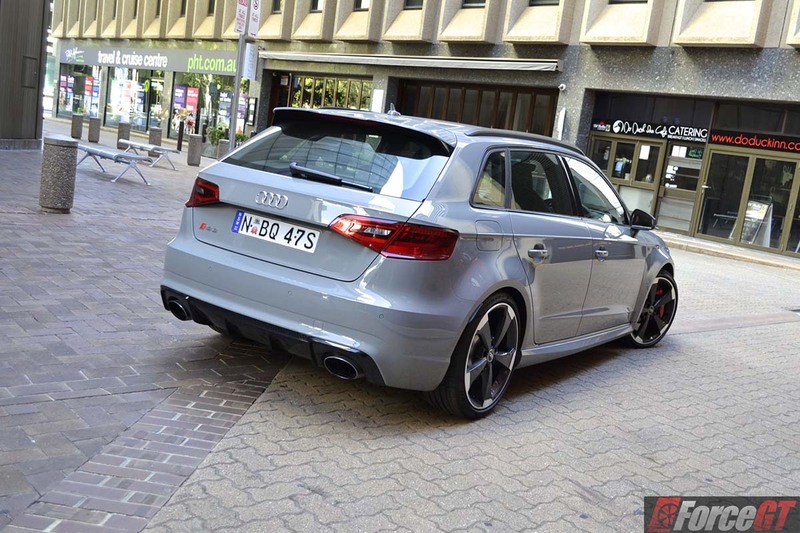 A large roof spoiler and the RS3 badge on the tailgate tell those behind this is no ordinary hatchback. 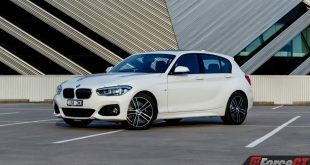 Our test cars also came with the $1,600 extended black high-gloss styling package with black mirror caps and window surrounds. 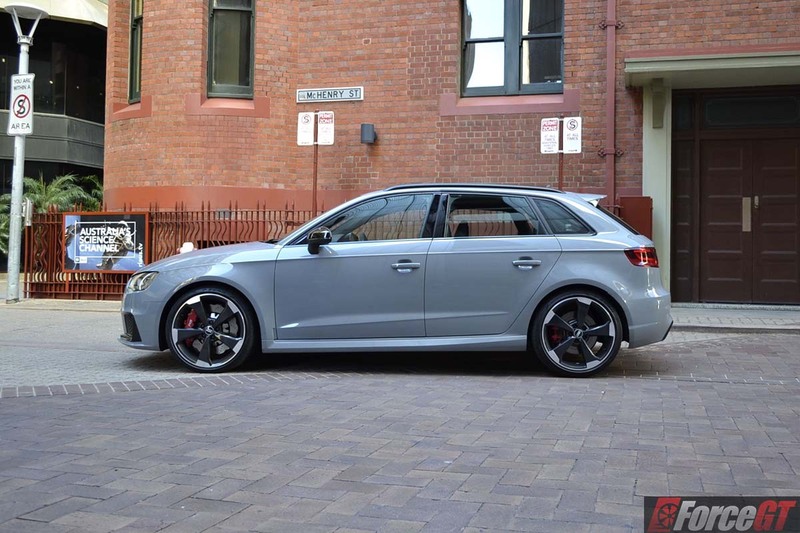 A further $780 paints the roof rails black for a properly sinister look, especially in the Nardo grey example. 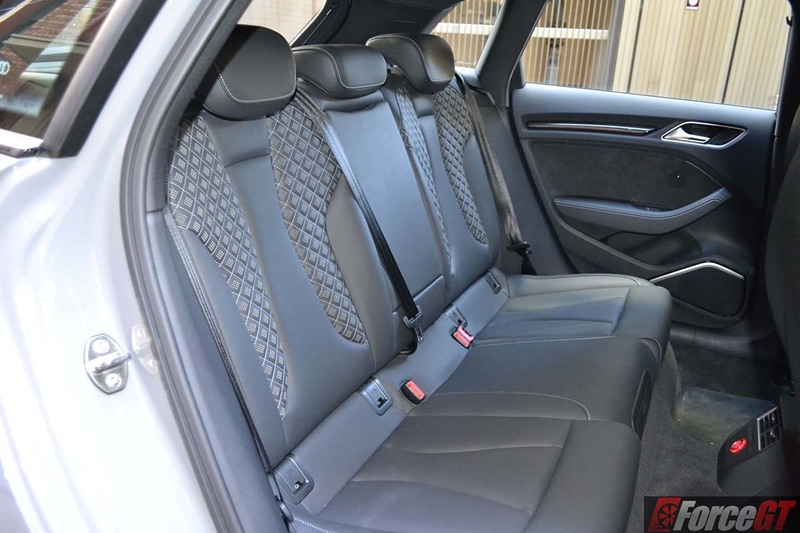 Inside, the interior is largely carried over from the S3 Sportback, except for the lovely alcantara finish on part of the steering wheel and door trims. 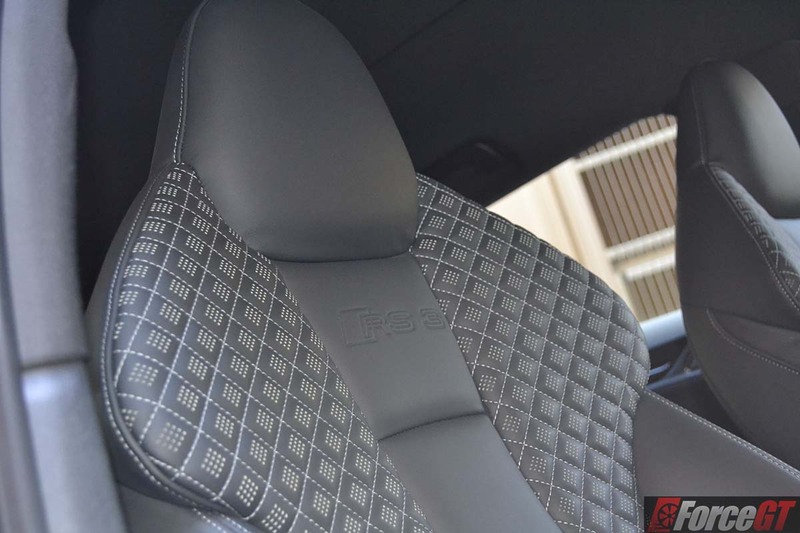 Attention to detail includes tiny perforations within the square of the quilted sports seats. 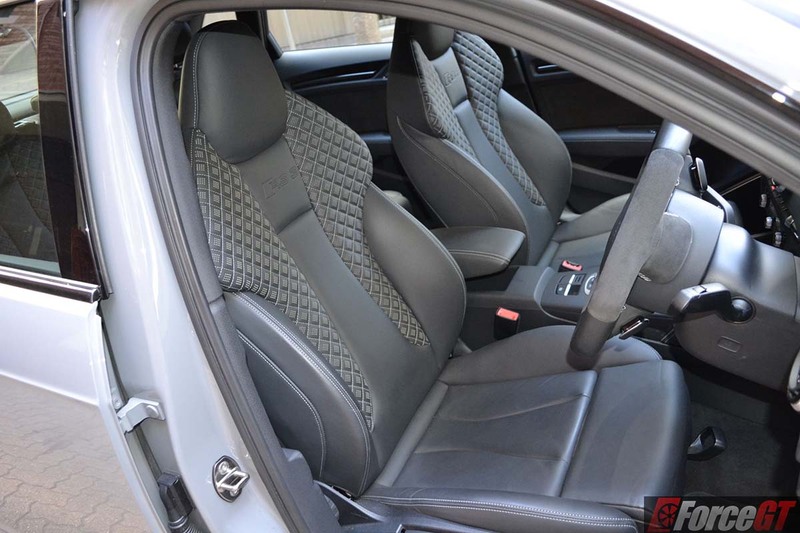 It’s all very restraint, very Audi. 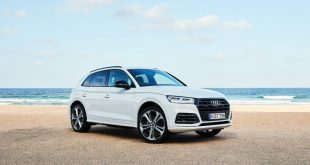 Like all recent Audi’s, built quality is agreeably good. 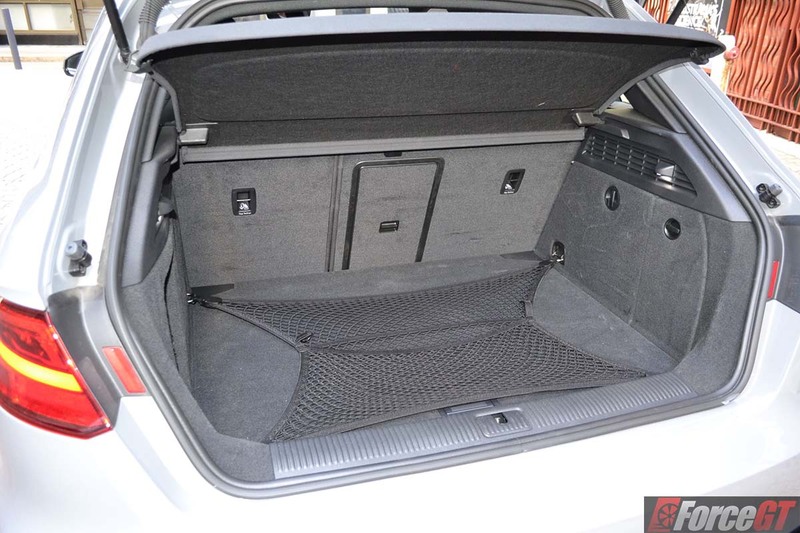 Its benchmark fit and finish shouts class and quality where ever you look. 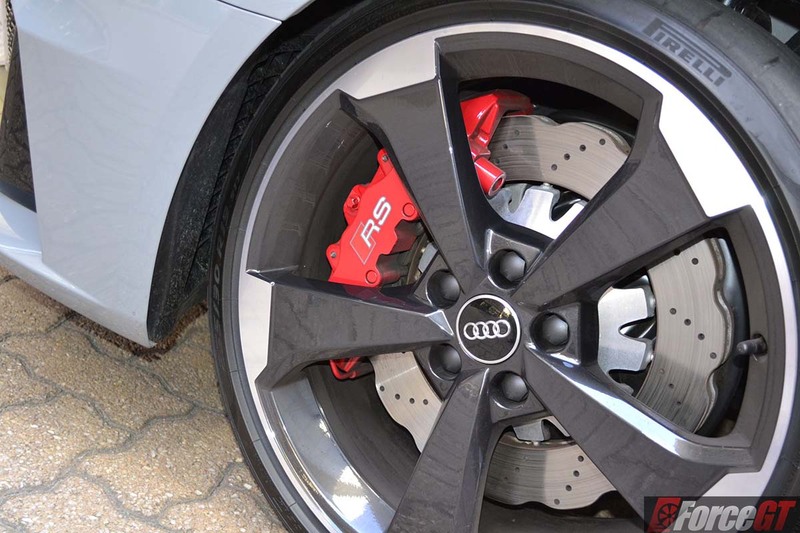 The only complaint we have comes from the self-ventilated front disc brakes that squeak nosily on not one, but both test cars supplied. 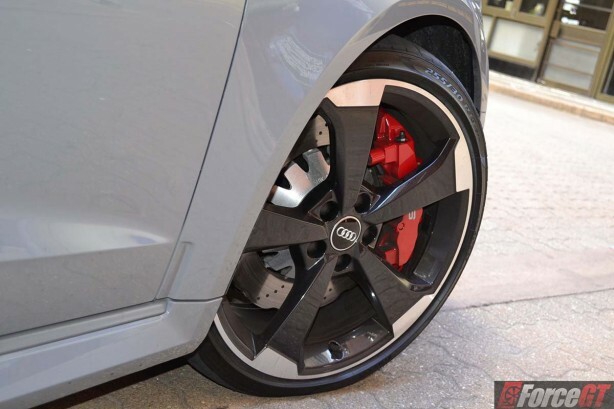 While Audi Australia hasn’t offered an explanation, we suspect it’s due to the track abuse during media launch. 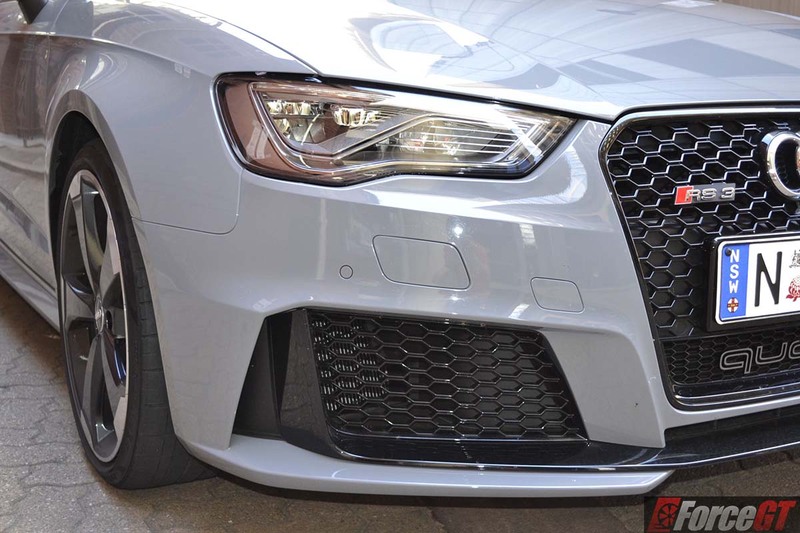 The 2016 Audi RS3 Sportback is more powerful than the Porsche Cayman, faster than the 911 and more practical than both. 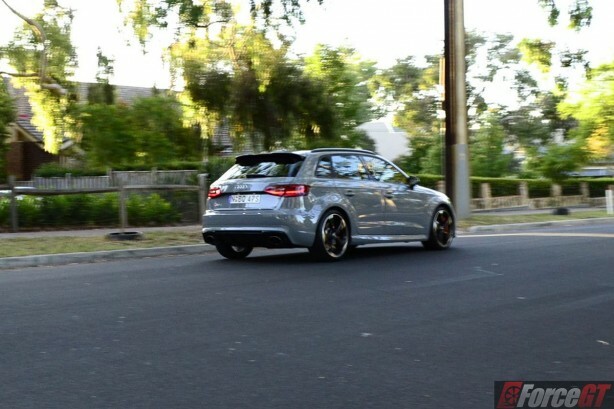 Couple that with manic performance and engaging dynamics, the latest RS3 is enough to be the best hot hatch in my books. For now.